316 Stainless Steel (0.5mm Fully Welded). 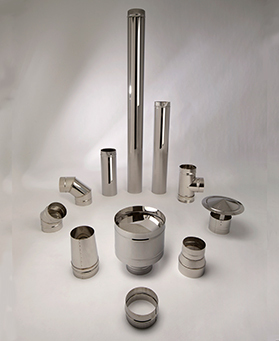 Push fit, single wall, stainless steel flue system for use on gas and oil condensing applications. Sold complete with locking bands and seals. Midtherm SW-LTC product has an easy to assemble socket and spigot joint which can be secured by an optional locking band. Manufactured in 0.5mm 316 BA grade stainless steel fully complete with Seals for a water tight fit between joints.